Mr So is Chairman of the Executive Committee of The TsimShaTsui District Kai Fong Welfare Association and was among the first batch of elected district councillors of Tsim Sha Tsui. 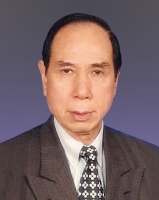 Devoted himself to serving the community particularly in education development and elderly services, he was presented the government’s community service awards in 1985 and 1986 and was made an honorary citizen of Beijing’s Tongzhou district. He also received the Chief Executive’s Commendation for Community Service and a Medal of Honour from the HKSAR Government in 2000 and 2012 respectively.